They may not look intimidating, but these little sliders have outstanding flavor. 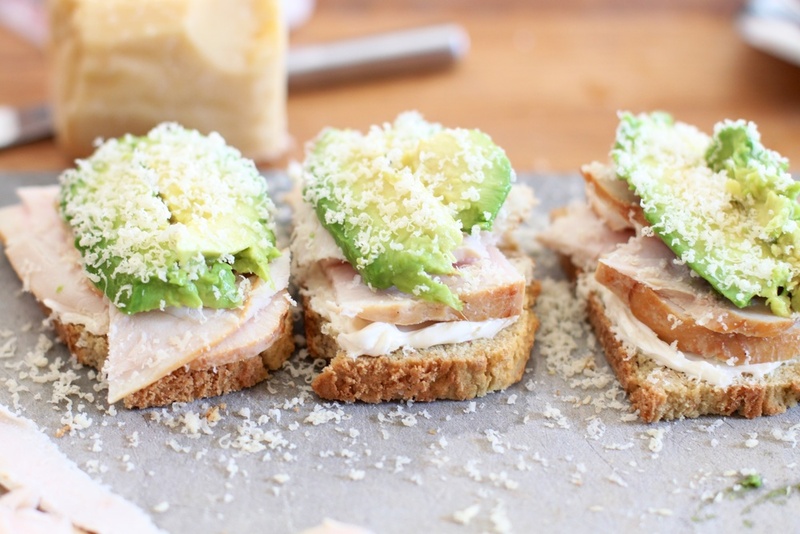 If you're bored with lunch these open-faced turkey, avocado, + cream cheese slider sandwiches will add some excitement back to your noonday... And for your kids + hubby. Slice the bread into even slices. Using a wooden bread slicer makes perfectly even slices. Because most grain-free loaves are smaller, they lend to better one-handed-pick up. I like to stack the toppings high and make my kids and myself more open faced sandwiches then traditional sandwiches with a top and a bottom when using a coconut flour bread because the bread is more dense. Oh yes, and they are perfectly customizable. Rowan asks for everything "plain" so got plain bread and Saturday's leftover sausage, Ainsleigh had cream cheese and pepperoni, and so on. *If packing these slider sandwiches for outings or lunchboxes, simply wrap each assembled slider in plastic wrap or place them in a glass tupperware container with a toothpick through the middle to keep toppings together. Older Postover half a million!